Directed by Ryan Coogler. Michael B. Jordan, Melonie Diaz, Octavia Spencer, Kevin Durand. 85 minutes. The world of hand-held technology has seeped its way into mainstream culture, granting ordinary people the ability to do with ease what many would have previously thought unfathomable. The rise of social media has created the possibility of international social conversation with the click of a button. With smartphones or digital cameras, people can provide video footage to millions of users with surprising simplicity. People doing a casual search on the internet for homemade videos will find a shortage on substance but not content. From muckraking to unfairly slanderous, from crude to brilliant; the difficult terrain of online media is daunting to explore. Professionals and amateurs are virtual bedfellows. Some content deifies the visceral thrill of violence, while also being cheaply shocking with depictions of cruelty that is crude both in its aesthetic value and its exploitative nature. However, the videos from various vantage points that dissect the sudden murder of Hayward, California resident, Oscar Grant at an Oakland Bay Area Rapid Transit (BART) station, contain no such footage. The effect is simpler, more direct and genuinely horrifying. When one watches the videos, the filmmaking capabilities or intentions of the jolted passengers who captured the traumatic event are not called into question. Rather one gets the feeling that they are a witness to an unfortunate incident of monumental historic importance. On New Years Day of 2009, Oscar Grant, a 22-year old African American man and father, was riding home from a night of San Francisco revelries on a jam-packed BART train. He became involved in a heated verbal and physical dispute that resulted in the police detaining him and three of his friends. The situation eventually escalated to Oscar Grant’s execution by police officer Johannes Mehserle. There were condemnable accounts of Mehserle from multiple people on the train that were quick to utilize their smartphones and digital cameras. The incident was broadcasted nationally and instantly proclaimed as a hate crime by many, while the opposition strongly believed the chaotic event to be a frantic accident. The Grant family was vocally upset and the Mehserle family received death threats causing them to move multiple times. Backlash directed at the law enforcement zeroed in on the issues that painted the evening as a ruthless slaughter (Grant was handcuffed, unarmed and shot in the back.) Those in Mehserle’s defense cited immensely tense and terrifying moments suggesting the possibility that anybody could have made that mistake in the scenario - the police officers were said to have been vocally threatened by Grant and his friends, there were loud protests from the passengers on the adjacent train, the officers were said to have believed that Grant had been holding weapons and that Mehserle mistook his own gun for his Taser. With such radically divergent accounts and the following trial, which found Mehserle guilty of involuntary manslaughter and given less than two years in jail, human nature inevitably and tragically took its course in the following months. What started out as peaceful protests and vigils in Oakland to commemorate Oscar Grant turned sour when police interference provoked a series of riots which included vandalism, looting and police brutality. The media packaged it as one of the most compelling examples of how anybody with a basic understanding of YouTube had the power to become active participants in social justice. It is only natural that the video footage would be considered fodder for a movie that would be pure awards bait. Partial Producers and Oscar winning actors Forrest Whitaker and Octavia Spencer (who also soars as Grant’s mother, Wanda) gave Ryan Coogler, a 27-year old USC alumni and Richmond resident the directorial reins of handling the story of the hours leading up to Oscar Grant’s demise. There was the strong possibility that the effort would fall flat on its face in a misguided attempt to commemorate a recent (perhaps too recent) event while doing a half-hearted disservice to the source material. I’m elated to say that the film’s praise has been well-deserved. FRUITVALE STATION avoids the conventional biopic format and instead joins the ranks of such day-in-the-life-of classics as Matthieu Kassovitz’ LA HAINE (1995) and Vittorio de Sica’s BICYCLE THIEVES (1948). Cinematographer Rachel Morrison and editors Claudia Castello and Michael P. Shawver yield a steady fly-on-the-wall but quietly empathetic gaze on the film’s protagonist over the course of New Year’s Eve. The oftentimes handheld camerawork follows Michael B. Jordan (incredibly precise, irresistibly compassionate and heart-wrenching in his best role to date) as Oscar with guerilla fluidity in moments that hint at a violent animalistic side. But there are also tender closeups and long takes to detail the soft, charming and resolute side of him and his family. Grant’s family possesses good will, pride and admirable acceptance that struggle is part of their daily routine. Shot on location throughout the San Francisco Bay Area, the film avoids the trappings of many studio dramas that deceptively market their product as socially relevant, but which in reality prey on audience’s innate cravings for a culture that’s been bred on the perversion of violence and easy answers. The authentic qualities of the film give no packaged resolutions or disposable shock value. The realistic, lived-in yet well-furnished and inviting houses makes one jealous that one couldn’t be sitting with the family during Wanda Grant’s birthday celebration. The cramped bedroom spaces brings the audience uncomfortably close to the tense situations such as when Oscar has to admit to his girlfriend Sophina (Melonie Diaz - broadly comedic but also a powerful screen presence of unadulterated conscience) that he was fired from his low-level job at the local market or that he won’t cheat on her again. Coogler deftly handles the material and crafts his film into a breathtaking meditation on second chances, injustice and family and saves the violence for the end. When Oscar is shot and killed the movie justifiably earns its audience’s weighty emotional response and doesn’t overstay its welcome. From crushing disappointments, to elation over resolving arguments and dissatisfaction, to the thrilling idea that hard work and focus will prevail and to the terror and frightened realization of imminent death, Coogler almost films from the perspective of Oscar’s close friend who wishes to reminisce on his moments of humanity but also tries to eagerly mine for indications of what could have gone wrong and what could have been done to stop the damage and the pain. Unexpectedly powerful moments come from such austere concepts as witnessing Grant drive in his car down the streets of Oakland and Hayward with thunderous rap music blasting from his car stereo system. It serves as commentary about the stereotypes society tacks onto an image such as that of an African-American youth. Our quick judgments never take into account that those who drive those cars and listen to that music, which some find disagreeable, are real human beings with conflicts of character and families and concerns just like everyday people. A foreboding incident right before the second act involves our hero’s witness of a death of a pit bull in which has proved to be one of the most controversial scenes. The scene’s supporters champion Coogler’s empathy towards outcasts of society that are misconstrued as malicious but whose deaths are undoubtedly regrettable. The scene’s critics (I actually place myself in this group in one of my only criticisms of the picture) dismiss it as a broad gesture, an effort for easy sympathy and a trick up the sleeve in an effort to garner some stock words of praise in haughty publications. When the story arrives at its difficult climax, the non-sensationalized approach that matter-of-factly presents the altercation and the eventual painful death chaotically and powerfully conveys the baffling nature of the scene of the crime itself. The restrained glimpses of Wanda clinging to her son’s late memory and refusal to accept his death complacently cement the film as an important piece of polemic cinema that has the capability of changing the world without becoming self-righteous or preachy. Now, for the full disclosure: I am a former Hayward resident and was on that same BART train that Oscar Grant and his friends were detained from by Mehserle and cohorts. I was a witness of what appeared to be a preventable situation and participated in loud screams of protest against the officers who took control, or lack thereof of this nightmare. Seeing the shooting and subsequently learning that it was fatal, provoked a predictable sense of outrage but also confusion as to what could have possibly lead to such a cataclysmic event. But the weight of the event and the toll it seemed to take on the Bay Area community I felt was squandered by the riotous protests and lifeless mainstream media coverage. "I saw the riots and the frustration and they didn’t have an effect. If I can get two hours of people’s time, I can affect them more than if I threw a trash can through a window" Coogler stated in an interview with Filmmaker magazine (requoted in the Summer 2013 issue) while in preproduction. It was this film that re-ignited the heated emotions that I felt immediately after the tragedy and had more of a visceral impact than the events that followed the shooting. People I’ve spoken to after having seen the film who actually knew Oscar Grant said that even with efforts to paint an unbiased portrait, the film still inevitably drifts toward idolizing its subject matter and that he was more often prone to the violent behavior that we only see glimpses of in the movie. I’ve also heard claims that the depiction of his last night alive was falsified and that he was believed to have been robbing people and my own research revealed the presence of alcohol and drugs in his system found in the autopsy. However, members of the Grant family have gone on record stating that the film captured the true essence of Oscar and that they would sometimes forget that it was an actor portraying him on the screen. The handling of such material in any shape, way or form is prone to inevitable backlash and protests and certainly in the hands of a lesser director could have devolved into maudlin melodrama. Perhaps I am biased in the fact that I was a witness to the shooting, but did not know the man personally. Perhaps if I did have a more comprehensive understanding of what happened and knew some supposed truths about Oscar Grant’s character that were omitted from the film, I would not think of it so favorably. But Coogler did, in my eyes do the almost-impossible in presenting a biopic as a neorealist character study that was even-handed and sympathetic without being slanted. The controversy over whether or not the film is speculative is I believe, meaningless. The filmmaking crew was given unprecedented access to the Grant family and multiple outlets of research that ensured accuracy of attitudes and emotions but may have fallen short on accuracy of actual events. The fact that there are so many contradictory accounts of what had actually happened in the hours leading up to his death, makes it a given that the film would be speculative. 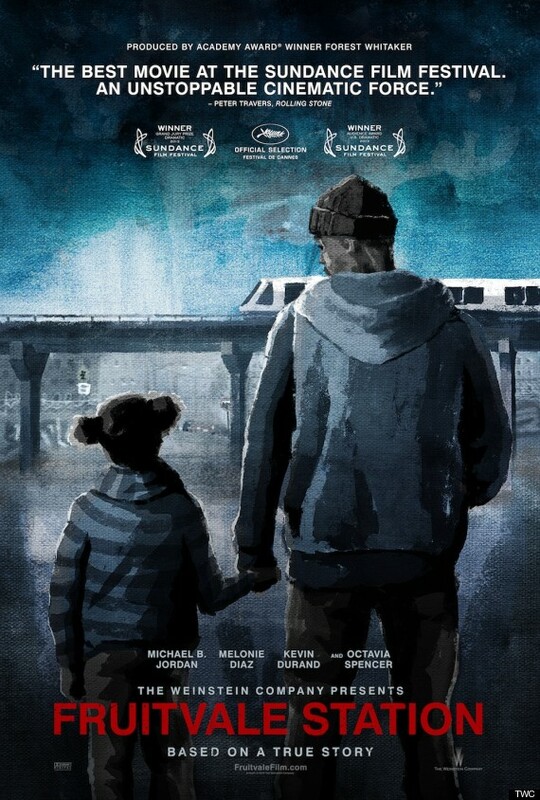 If a film as observational and nuanced yet devastating as FRUITVALE STATION can really make such an impact on audiences worldwide as it did to me, perhaps the film industry could take note that young filmmakers of this generation are interested in presenting original and captivating ideas for tackling well-worn subject matter. With films like these, a new wave of young independent filmmakers can perpetuate the idea that the 21st century can help the art form of filmmaking evolve rather than remain stunted. Willy Romano-Pugh is an L.A.-based actor who has acted in short films as well as a number of productions at the Grand Guignol style theater group, Zombie Joe's Underground in North Hollywood. He has always been an avid fan of films, has ambitions to be a filmmaker and is passionate about film criticism. 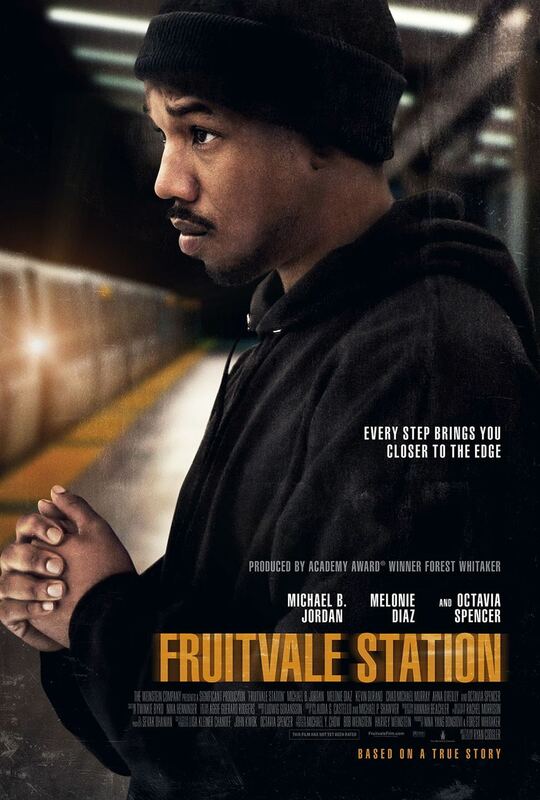 FRUITVALE STATION is released on Blu-ray and DVD on 14 January 2014.